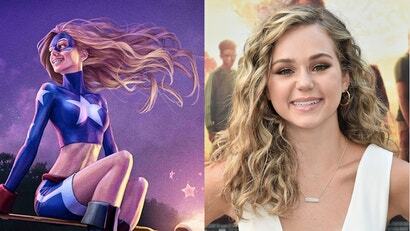 While none of the DC Universe streaming platform's original shows based on comics have actually begun airing yet, Warner Bros. and DC are quickly moving forward with the production of the recently announced Stargirl series. "There is no other character in comic books more special to me than Stargirl, and after searching far and wide I can say there is no other actor on the planet that embodies her more than Brec Bassinger. Brec's warmth, strength, humour and positive energy are core to who Courtney Whitmore is. I'm so grateful she's signed on for the role." Stargirl will follow Courtney as she takes on a number of villains from long before her time as a hero as well as introduce a new incarnation of the Justice Society of America when the show premieres sometime in the near future.